One of the best things about writing books and short stories is doing research about stuff you need to know in order to convince a reader you aren’t as thick as a bucket full of day old porridge. Currently I am working on a couple of projects, over and above the Scots one (see previous post), one which involves toxoplasma which I will leave for now as it is making even me go “yuck” and the other is about zombies. As most of you undoubtedly know, zombies come in two types, there are the shuffling, infectious, brain devouring types…socially difficult, not good at dinner parties, but probably very amiable once you get to know them…and the Haitian sort who don’t eat brains, usually speak very good French and while being a little bit dead, don’t hog all the nibbles at a buffet. For the purposes of my project, I have decided the first sort won’t do for London in 1934, but the second type will fit in perfectly. If nothing else, they won’t notice the weather, which might limit their conversation, but does mean they won’t complain the rain. I’m not anti cats, we are currently allowed to be of everyday service to Fitzwilliam Big Chief Paddy Paws Our Cat Allen, an elderly Birman of uncertain temper and an addiction to the contents of a “Goody Bag”. Today’s favour choice is Mixed Grill which is okay, but I have been made aware that the absence of “seafood Cocktail” is not what he has come to expect and someone had better get down into the town and buy the right sort asap. However, as the breed was probably unknown in London in the 1930’s and Fitz doesn’t require anything to further inflate his ego, I have chosen a black and white one. 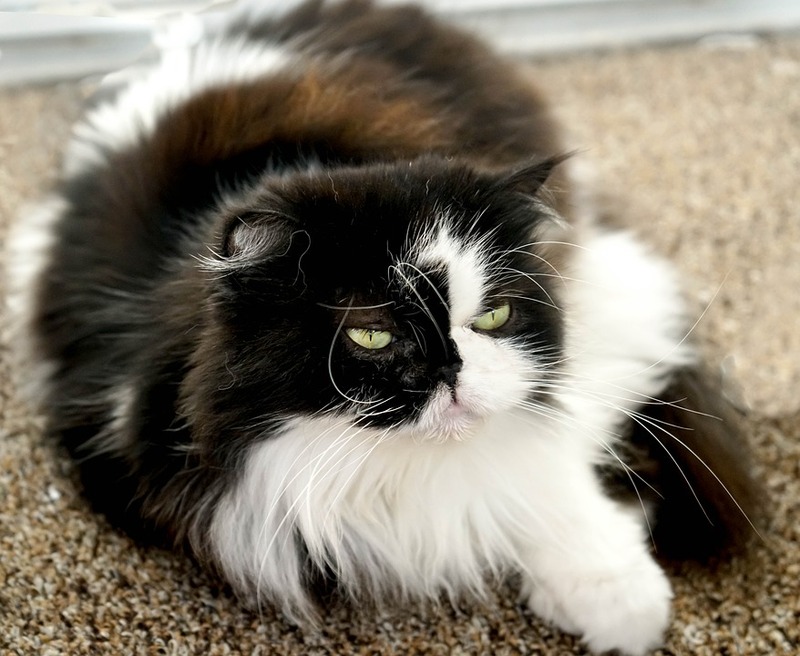 He was supposed to be just an ordinary moggy, like my very first cat Tim who came to live with us when I was four, but…of course…he promptly promoted himself to Chief Secondary Character II, named himself Hezekiah and looks a lot like this. Back to zombies…see what I mean about cats, one second you are having a very reasonable discussion on a subject of cultural interest and the next second you are ankle deep in fuzz and fur…the important question I needed answers for is “can you invite a zombie for tea?” and if you can, should you ask him home or to a suitable venue. If it is home, what do you serve? Would Gentleman’s Relish on toast be too salt, apparently you can kill a zombie with a salt sandwich. Are meringues acceptable? Would a Victoria Sponge be just a bit much for anyone who used to have some French blood running through their veins? Come to that, what do they eat in Haiti? I see more research is required. On a much more mundane, but important note, a certain very important small person has reached the amazing age of three and as such requires a celebratory quilt. In honour of this, I am have way through a “Cat in the Hat” one which I will post pictures of once I have sorted out the half square triangles whose points have failed to meet quite as well as they should. 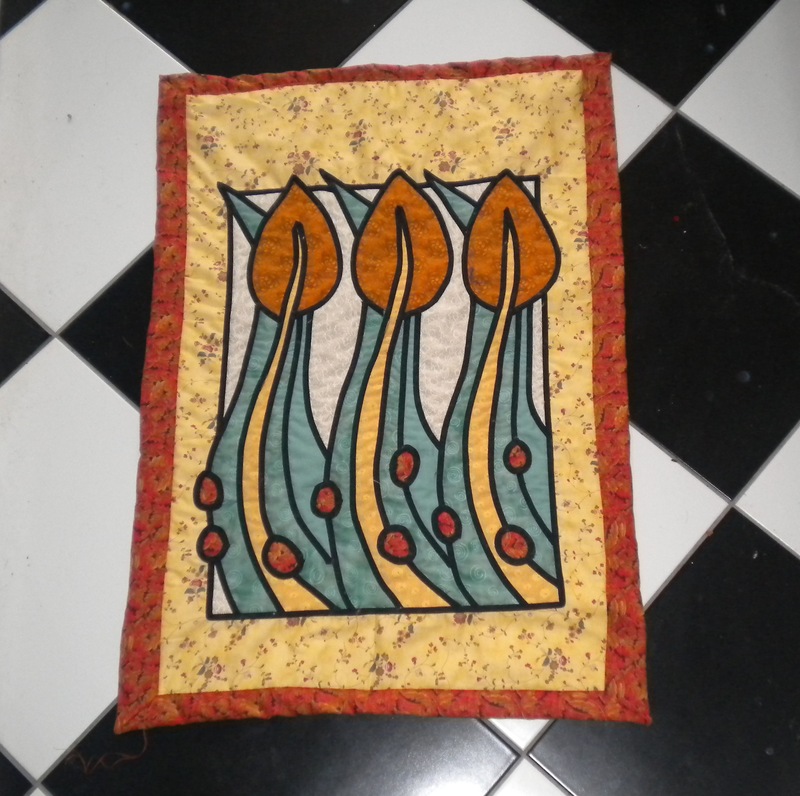 And I’ve done the quilting of course. If you feel you can, please click the “follow” button and let me know if you want to hear more about what is going on in my writing, cooking, quilting world. At the moment I can’t concentrate. Why I hear you cry. Because, in a moment of total madness I said I would organise our next quilt show. I think I’ve done it, more or less, but as a famous general once said, no plan survives its first encounter with the enemy. Done it or not, its keeping me awake at night. And I don’t mean tossing and turning, I mean laying in the dark staring at the ceiling. I usually get up when the birds begin to warble. 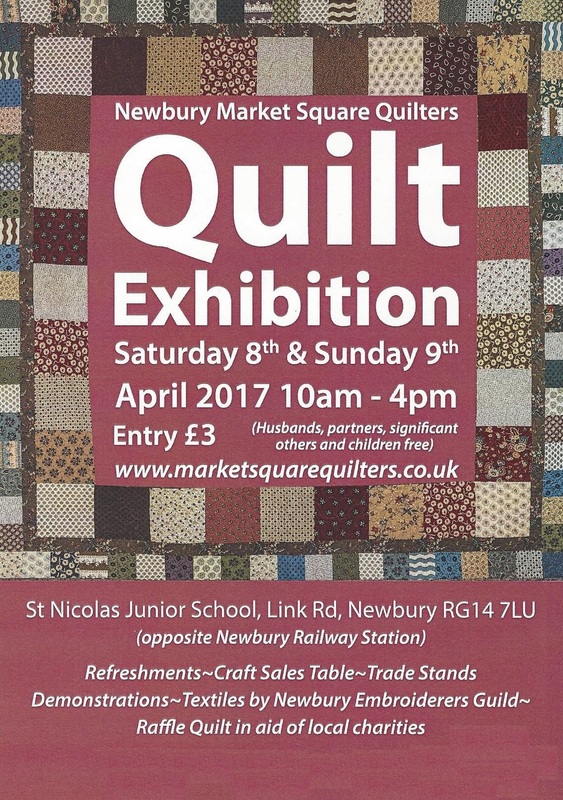 However, judging from what contributions I have seen so far, the ladies of Market Square Quilters have done me proud and there will be some glorious quilts on show. 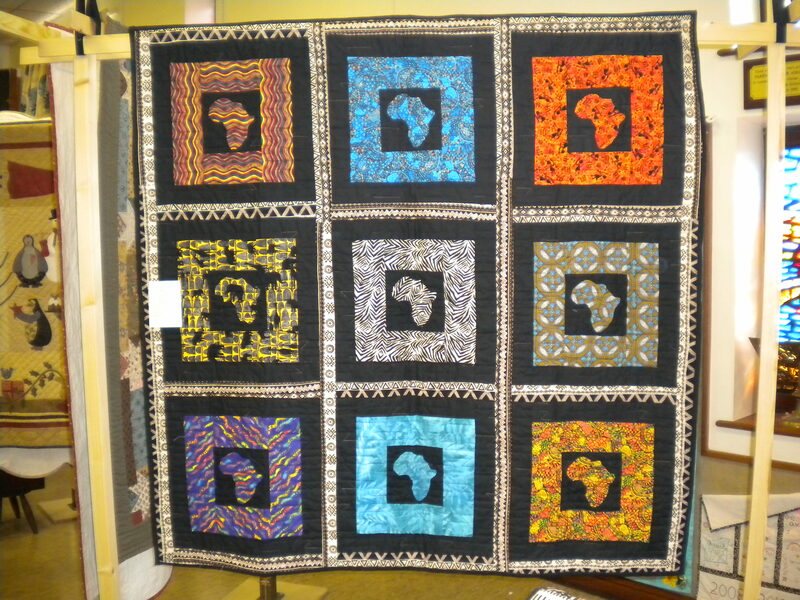 This year’s charity ( we raffle a full sized double bed quilt made by us, its the one in the back ground of the picture. Made from American Civil War reproduction fabrics) is Living Paintings. Not a famous charity, but check out what they do, I think you’ll be impressed. If you are anywhere near, come along and see us…okay, I know its a bit far for you lovely followers in America and India ( love you guys), but should you feel the need to jump on a plane and come, there will be cake and I’ll buy the tea. 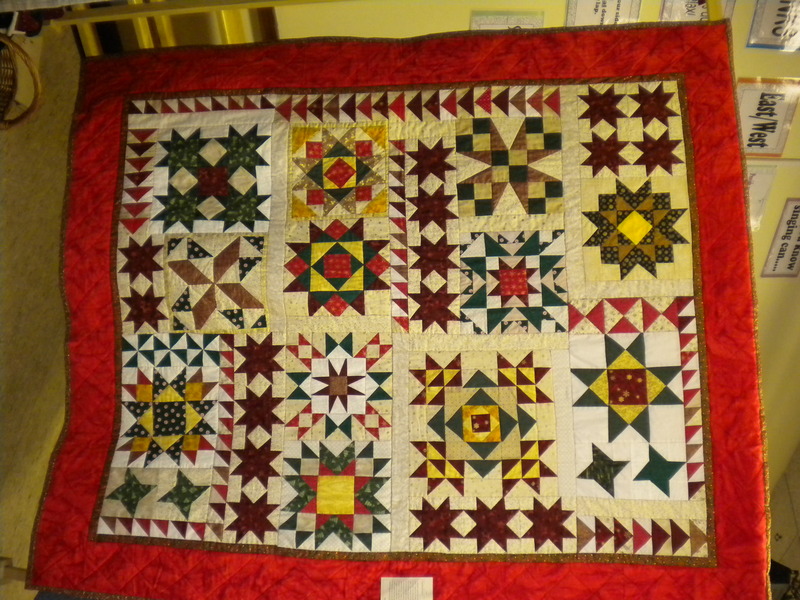 Keep watching quilt lovers, because once the show is over I will posting pictures.